Here are a few outfits from the week! 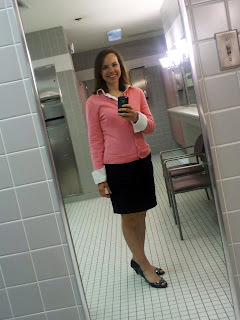 Cardigan from Goodwill, dress shirt from the $.33 thrift store sale, skirt from Banana Republic, shoes from Payless. 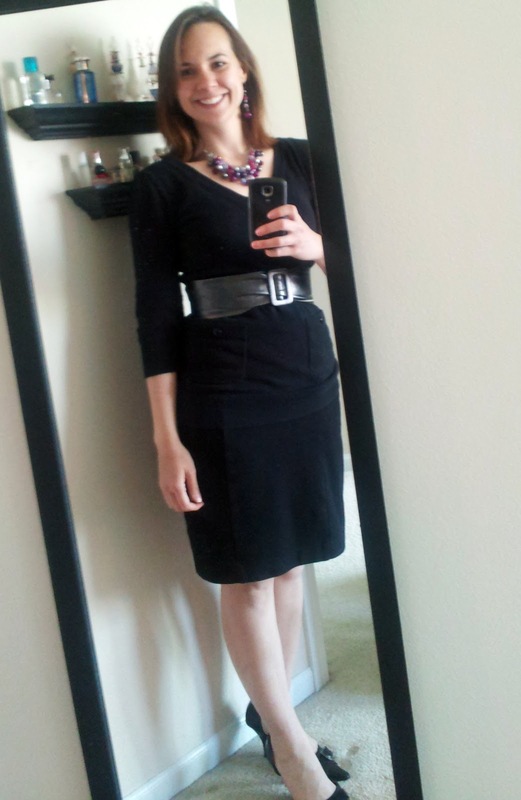 Sweater from my sister, skirt from Nordstrom Rack, belt from Goodwill, shoes from the clothing swap and necklace/earring combo from Sears via my mom. 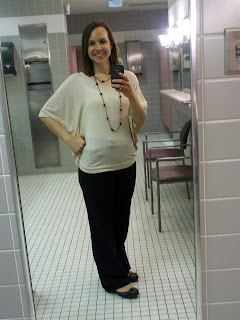 Shirt from JCPenney's petite section, pants from Sam's Club (What, they're cute) and necklace from my mom. Earrings are from my college study abroad in Egypt - I bought them at a market in Cairo. I had another couple outfits in there, but my phone refuses to upload them. What were the markets like in Cairo? I actually am not sure. It was a school trip, so I went where the bus took me.